Behavior genetics has a fraught history with philosophy. In the early days of the field it seemed as though the only philosophical discussion that was possible was between the hereditarian descendants of Galton–Cyril Burt, Raymond Cattell, Hans Eysenck and Arthur Jensen- and their critics from the intellectual left: Richard Lewontin, Leon Kamin and Steven J. Gould. Many of the participants on both sides, of course, were neither geneticists nor philosophers, but they nevertheless set the tone of the debate: the discussion about the genetics of behavior was a clash between a harsh and often racialized determinism and a politically motivated commitment to individual freedom and progressive social values. For at least a century, unsurprisingly, it was a standoff. But that familiar version of the nature-nurture debate overlooked a simple empirical fact and a deep theoretical gap. The empirical fact was that by any plausible empirical standard, individual differences in human behavior are heritable. Identical twins are more similar than fraternal twins, siblings more similar than half-siblings, adopted children more similar to their biological than their adoptive parents. When it became possible to confirm these observations in unrelated people using measured DNA, the results were confirmed: individuals with more similar DNA were more similar in their behavior, for every human difference that could be measured. The theoretical gap is harder to state in a few sentences but just as important. Heritability is about populations and their variances; behavioral science ultimately is about individual people, and why they behave and experience the world as they do. If the heritability of differences in extraversion is equal to 0.4, what are the implications for how individual people develop their personalities? The simple hereditarian answer is that extraversion is in some (unspecified) sense fixed at conception. By extension, our psychological intuition that we make developmental choices about our behavioral characteristics under the influence of our families and the local and cultural environments is false, a psychological illusion. But if our behavioral differences are indeed the result of distal genetic differences, how exactly does that happen? The big biogenetic explanation that has always been promised about the “gene to behavior pathway” linking DNA to complex psychological experience has remained forever on the theoretical and empirical horizon. Variance partitioning has never been enough to convince the experiencing human that personality is predetermined by genes, and it never will be. Now that the twin and adoption studies are done, and furthermore now that GWAS has been conducted on millions of individuals, what has behavior genetics elucidated about extraversion? It is, undeniably and replicably, heritable, but what else? We know about some variations on heritability: how it changes with age or gender, or across social classes, but those findings tend to be more about heritability itself, rather than being about extraversion per se, where it comes from and how it develops. The knowledge gap begins in developmental biology (and many of the most trenchant critics of behavior genetics have been biologists, from Richard Lewontin to Gilbert Gottlieb to Denis Noble to Kenneth Weiss), but it is also psychological, experiential, and ultimately philosophical. Questions of how biological givens about humans taken as a group (leading to evolutionary questions about human nature) or as individuals (leading to questions of self-determination and personal responsibility) underlie many if not most of the deep philosophical questions about human development. In Turkheimer (1998) I cited a remark by Toulmin to the effect that psychiatry was then the major contemporary arena of applied philosophy, and predicted that moving forward the major theoretical questions would involve behavior genetics. The developments of the last 20 years, if I may say so, have borne me out. The Genetics and Human Agency project, funded by the John Templeton Foundation, has brought together teams of empirical scientists and philosophers to address the problems posed by modern behavior genetics. These problems can be seen in two ways: as unsolved theoretical questions in an established science, or as unsolved philosophical problems that have been sharpened by new empirical findings. Above all, the work that has been conducted under the aegis of the project has demonstrated that the days when philosophy and behavior genetics were fundamentally in opposition are over. The idea that genes have an ineluctable role to play in any explanation of behavioral differences is by now as widely accepted in philosophy as it is in psychiatry, psychology and the rest of the human sciences. By the same token, the extraordinary and unexpected difficulties that have been faced by the new molecular genetics of behavior have quieted most claims that science is marching toward an era of genetic hegemony. Yes, there are still philosophers who think any involvement of genetics in behavior is reductionist or determinist or racist, and there are scientists who still don’t see how anything other than more data will show the way to deeper understanding of behavior. Their number, however, is shrinking all the time, and the work introduced here makes a decisive case that a new synthesis has arrived. 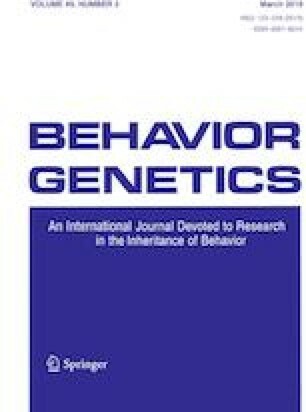 The eleven articles included in this special issue sample but of course do not exhaust the many philosophical issues facing modern behavioral genetics. It is important to note that the papers were undertaken early in the project, and not all of them are complete in the sense of providing decisive theoretical analysis or empirical results. To one extent or another, they each define a problem, analyze its parameters and extent, and propose solutions in theoretical and empirical terms. The mix of empirical science and theoretical analysis varies considerably. What is most important about them, in this Editor’s opinion, is that they are all collaborative, even those that are single-authored. I will take the time to note the remarkably varied specialties of the authors as the papers are described. The investigators associated with the Genetics and Human Agency project have met twice in Charlottesville, and will do so again this spring. Those meetings produced intense discussion and many new collaborations. Together, as will be outlined below, the articles in the special issue mark the crystallizing of what has up to now been an inchoate field of inquiry: the philosophy of behavior genetics. The mutual dependence of behavior genetics and philosophy is at its absolute clearest in questions of moral responsibility. Our fundamental intuitions about the nature of personal responsibility depend in complex ways on freedom from direct genetic determination, and discussion of genetics is already a reality in the legal system. As the philosopher Kathryn Tabb, psychologist Matthew Lebowitz and psychiatrist Paul Appelbaum (this issue) show, however, these intuitions become more complex and ambiguous the more closely one looks at them. The article is a compelling demonstration of how perspicacious philosophical analysis enhances the possibilities for empirical scientific inquiry. What appears at first to be a straightforward hypothesis—genetics has an effect on our perceptions of moral responsibility—becomes increasingly specific and multifaceted as the authors conduct their conceptual analysis. And looking forward, these same authors will be reporting new methods that are the ironic inverse of bringing philosophical analysis to dusty empirical science: they are collecting data about attributions of moral responsibility in the manner of experimental psychology, a method known as experimental philosophy or X-Phi. When empirical data are used to support the analysis of problems in the philosophy of science, a very important circle has been made complete. The last analysis of the relation between genetics and human agency is provided by the junior investigator, clinical psychologist Gena Gorlin (this issue). Many of the authors discussed here, myself included, are clinical psychologists, but Gorlin’s paper has the clearest clinical implications of any in the special issue. Taking as a starting place the well-known predominance of the so-called nonshared environment in analyses of behavioral variance, Gorlin questions the common assumption that nonshared variance, in its unpredictability, is necessarily unsystematic and random. Perhaps instead it represents the very opposite: the activities of individual people taking responsibility for their own life courses, rather than attributing them to the exogenous influences of genetic main effects or shared environment. She calls this quality “cognitive integrity,” and argues that it is the basis for an integrated and responsible sense of self. The gloomy prospect, as someone once said, is gloomy for working scientists, but for individual people it is freedom; it is human agency. Parenting is where behavior genetics interacts most decisively with the real world, and theories of parenting have always been among the most important applied topics in the field. Behavior genetic findings have led some theorists to question the importance of parenting practices (Rowe 1994) and it is safe to say that such conclusions have galvanized much opposition to behavior genetics from developmental psychologists. The paper by the psychologists Matthew Vess and Rebecca Brooker, the philosopher Matt Stichter, and the developmental behavior geneticist Jenae Neiderhiser (this issue) introduces a project that will take a developmental view of the origins of virtuous behavior in families, pairing methods of X-Phi and developmental psychology. Modern parents (as did, one suspects, pre-modern ones) know that some of their children’s characteristics are baked in, yet all good parents invest years in trying to shape their children’s development. The project explores how genetics, and parents’ beliefs about genetics, influences those efforts. Junior investigators Amanda Ramos and Amanda Griffin, supported by the aforementioned Jenae Neiderhiser and the child psychiatrist David Reiss (this issue), use methods from developmental twin and family methods to show that realism about heritability and commitment to the importance of parenting are not mutually exclusive; indeed one cannot be understood without reference to the other. Human behavioral genetics is an exercise, one could argue the paradigmatic exercise, in conducting science at extreme levels of causal complexity. Several of the papers in the special issue address the problem of complexity in different ways. The neuroscientist Mark Reimers, philosopher Carl Craver, biostatistician Mikhail Dozmorov, statistical geneticist Silviu Bacanu and the psychiatric geneticist Kenneth Kendler take the complexity problem head on as a problem in theoretical and statistical genetics (this issue). All human differences are heritable, regardless of their complexity, causing some (e.g., Turkheimer et al. 2014) to wonder whether general findings of heritability will ever be meaningful data points in our understanding of complex human processes that are located at vastly more complex levels of organization. Reimers et al. have formulated a theoretical analysis of the “coherence” of genetic contributions to complex outcomes, and are at work on a quantitative approach to applying the coherence concept to patterns of GWAS findings. Psychologists and behavior geneticists Daniel Briley, Jaime Derringer and Elliot Tucker-Drob team with personality psychologists Chris Fraley and Brent Roberts and philosopher Jonathan Livengood to tackle a similar problem in a different way (this issue). Whereas Reimers et al. turn to statistical analysis of GWAS results as a key to understanding when complexity may be tractable or intractable, Briley et al. examine seven components of what is usually called gene-environment interplay: phenomena like gene-environment interaction and correlation, developmental change and assortative mating. Understanding interplay of this kind is what makes human behavior genetics interesting, yet interplay usually violates the still-simple assumptions of both twin genetics and GWAS. Like Kendler et al., they have posed for themselves the extremely difficult problem of developing a quantitative framework for understanding the complications interplay introduces into genetic models, and like Kendler et al. there is still work to be done in making that goal a reality. The importance of the problem justifies both efforts. A traditional philosophical approach to systemic complexity uses the concept of emergence to describe phenomena that are manifest in the collective interactions among constituent elements, but not in the elements themselves. The junior investigator Jessica Salvatore works with Kenneth Kendler to analyze emergence in complex human systems in the context of dyadic interactions between spouses (this issue). Dyadic interactions pose obvious difficulties for straightforward genetic analysis, because properties of couples are not to be found in any one individual’s genes; the genes of one spouse can have causal effects on the other, and on the interaction between the two. I mentioned at the outset that the bedrock philosophical problem underlying behavior genetics is understanding how the undeniable yet hard-to-specify effects of genes (sometimes vaguely characterized as “genetic influence”) actually get inside the heads of individual people where the “influence” of genes can be manifest and experienced. One of the most important contributions to this problem in recent years is the concept of “genetic essentialism,” which refers to a cognitive bias in which genes come to be viewed as ultimate causes even when they are in fact more like cogs in a very intricate and distributed machinery. The Australian team of philosophers Kate Lynch and Paul Griffiths along with psychologists James Morandini and Ilan Dar-Nimrod, analyze the essentialism question in the context of a related problem, the identification of genetic causation in complex systems that are most often studied observationally (this issue). The analysis draws important comparisons between causal analysis at the level of scientific inference and in individual human attributions. One of the reasons causation is so difficult to establish in complex human genetics is that randomized experimentation is often impossible, meaning that investigators must approach the most complex system in the known universe without the most useful scientific tools at their disposal. Many people (myself included) have been guilty of assuming that lack of experimental control was an insurmountable obstacle to rigorous social science. The behavior geneticist and clinical psychologist Alex Burt, the experimental psychologist Zach Hambrick and the philosopher of science Kathryn Plaisance team up to explore the implications of this problem, and, compellingly, to question its necessity (this issue). Following the advice of Burt’s Minnesota forbearer David Lykken (1982): “Almost any experiment that one might think of doing with human subjects will be more interesting and yield more valuable results if one does it with twins,” they explore what is possible if one does use random assignment to understand genetic and environmental causation in twin pairs. They describe an ongoing research program using random assignment within and between twin pairs to study the causal effects of academic attitudes (“mindset”) on academic outcomes. Finally, it is the most complex forms of human behavior, those related to human virtue and flourishing, that are of particular interest to the John Templeton Foundation. Behavior at such great levels of complexity epitomizes many of the theoretical problems of behavior genetics. The gene-to-behavior pathway, for example, is so complex as to be formally unknowable. Yet, despite everything, differences in virtue are heritable, and the heritability prevents us from ignoring biology when considering even the most abstract virtuous outcomes. Several papers in the special issue address this theme. The contribution by Fassbender, Wiebe and Bates (this issue) is methodologically the inverse of Tabb et al., which subjected a potential target of empirical genetic study to philosophical analysis; Fassbender et al. take generativity, a classic concept about late-life cognitive and behavioral integration from the psychoanalytic literature by way of Erik Erikson, and analyze it from the point of view of classical biometrics. The results are helpful in much the same way as Tabb et al.’s philosophical analysis of responsibility: what starts out as a broad omnibus construct is analyzed into several more specific ones, sharpening our psychological understanding of what the construct of generativity really refers to. It has been a challenge to characterize such a substantively and methodologically diverse set of projects, yet the effort has left me hopeful for the future of the field. The Genetics and Human Agency project is founded on the basis of a new kind of behavior genetics and a new kind of philosophy of science: a behavior genetics that embraces human complexity instead of trying to reduce it to deterministic processes, and a philosophy of science that is engaged with, not in opposition to, the science that is its subject matter. Those of us involved in Genetics and Human agency cannot take credit for these changes, which preceded our efforts. We can only reap the benefits and hope that our collaborations will generate scientific and philosophical knowledge. I will close by thanking the many people who put extraordinary effort into making Genetics and Human Agency, as well as this special issue, possible. The project itself is as much of a collaborative effort as all the papers it includes. The authors of the papers, who have braved the difficulties of forging alliances across disparate fields of endeavor, have already been mentioned; their efforts are greatly appreciated. Kenneth Schaffner, Matt Keller and James Tabery serve on the advisory board for the project. Special thanks go to the guest editors for this issue: James Tabery once again, Brian d’Onofrio and Peter Zachar. They all expended great effort with no compensation. The same, of course, is true for many anonymous reviewers. The conceptualization and execution of the GHA project has been facilitated at every step by our Program Officers from the Templeton Foundation, Kevin Arnold and Alex Arnold. The work at the University of Virginia has been supported by the philosopher of science Lucas J. Matthews, my former research assistant Sarah Carroll, and the administrative assistant Susan Lane. The author acknowledges a research grant, “Genetics and Human Agency” from the John Templeton Foundation. This article did not include research with human or animal subjects.